Make a cuddly Love Monster for someone you love. 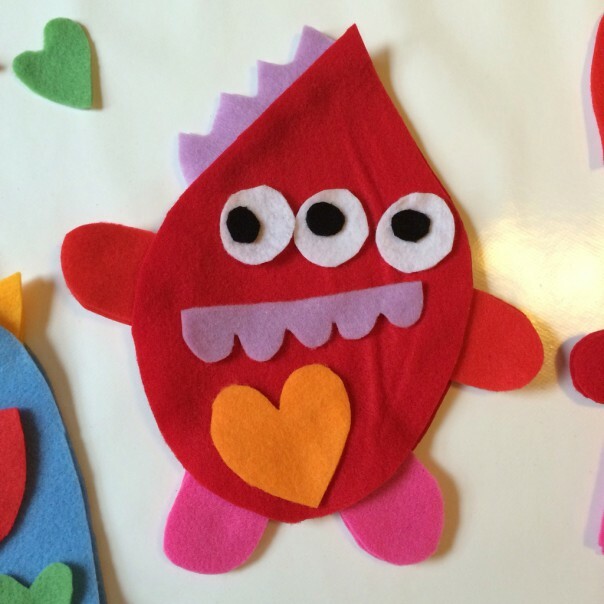 This Valentine’s why not make a cuddly monster instead of sending a card? This was a fun activity before I even started sewing. I cut all the shapes out of felt and laid them out for the boy and girl to play, rearrange, make funny faces. 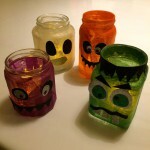 We spent about an hour doing this! 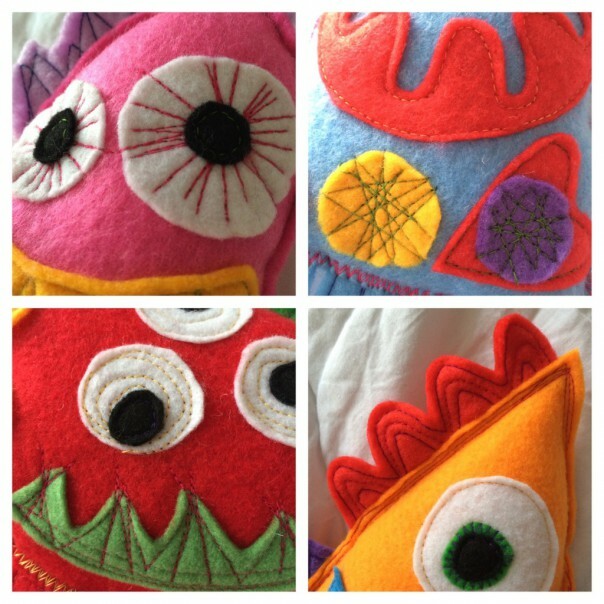 Once we’d decided the final designs I got my sewing machine out to sew and embroider all the pieces on the monsters. When the monsters were ready to stuff I sewed all around the body shapes leaving a gap. 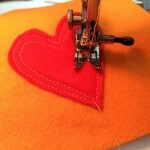 After stuffing, I pinned the gap closed and sewed to finish. 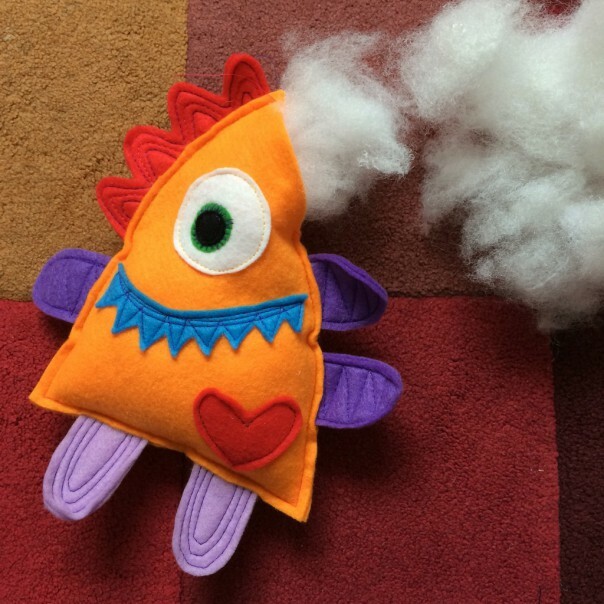 Note: Toy stuffing can be expensive so instead buy a cheap cushion pad, split open and use the stuffing from that. 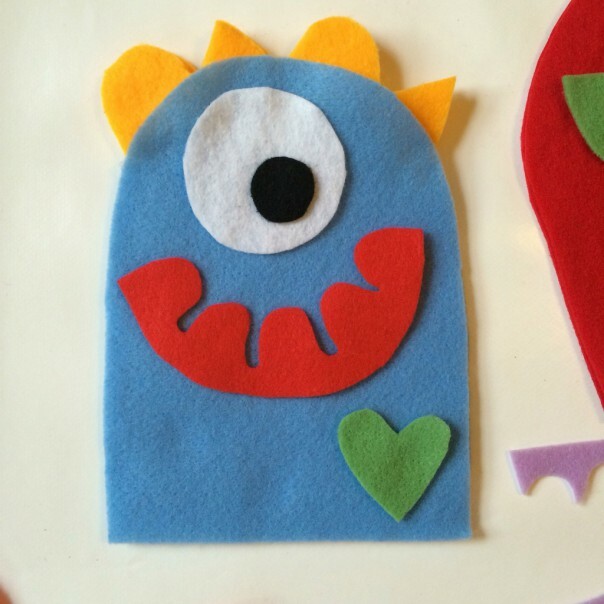 Love Monsters for the one you love. 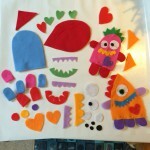 Before we started I cut out some bodies and features from different coloured felt. The boy and girl had lots of fun trying out different features on the Love Monsters. 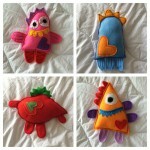 The body shapes are approx. 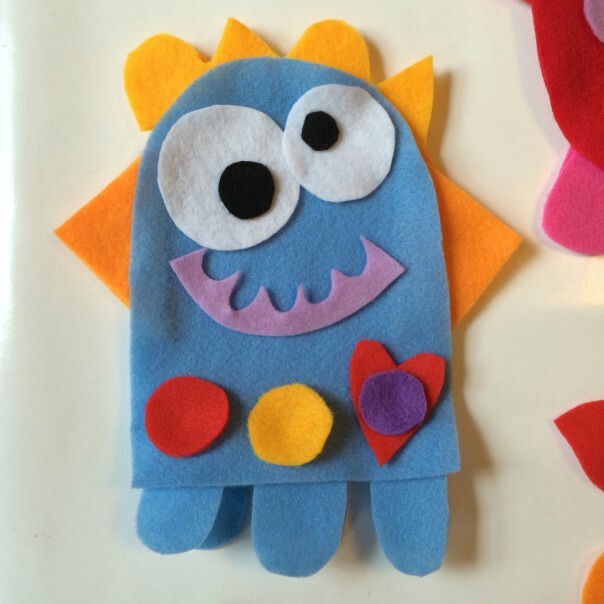 7 inches tall. 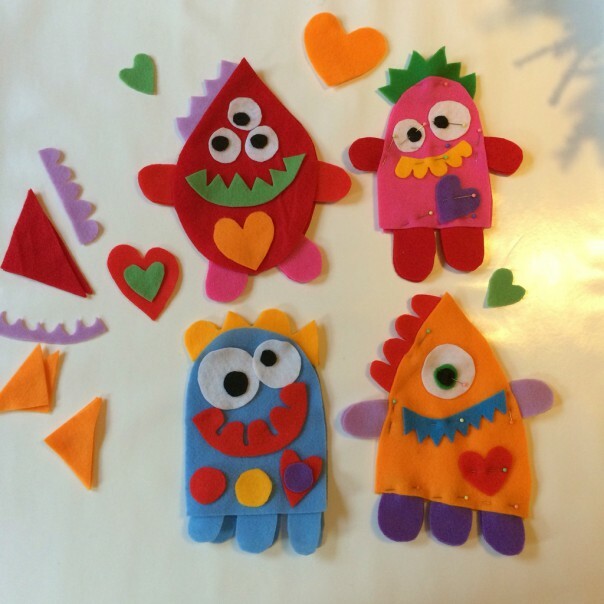 We gave each Love Monster two hearts, one on front and one on the back. The boy and girl had fun giving the monsters different faces before deciding on the final monsters I would sew. 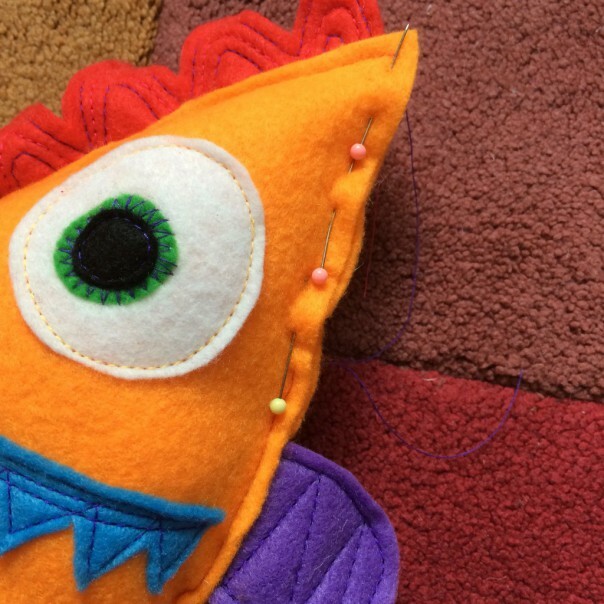 Almost there and ready to sew. 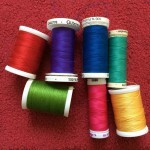 Lots of brightly coloured thread for our monsters. 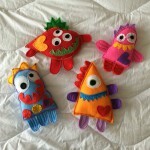 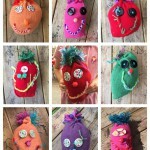 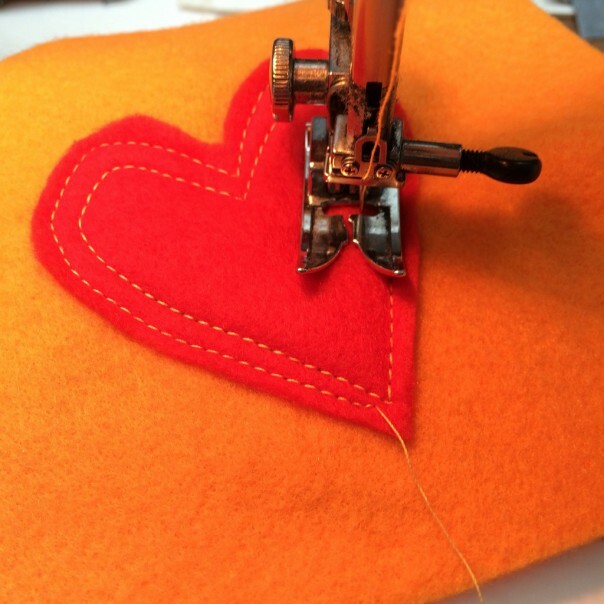 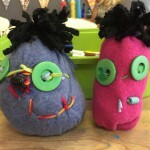 I sewed all the features on the Love Monsters using a sewing machine using the designs the boy and girl had made. 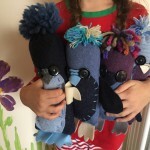 I stuffed each monster with cushion stuffing. It’s much cheaper to buy a cushion pad for a couple of quid, split it open and use as stuffing. Once stuffed I pinned and sewed together the opening to finish off the monster. Girl Love Monster, Boy Love Monster, Daddy Love Monster and Mummy Love Monster, front and back detail.